Labradoodles are a mixture of a Labrador Retriever and a Poodle. Labradoodles come in many different vivid colors including: Black, Silver, Apricot Cream, Chalk, Gold, Red, Apricot, Chocolate, and Café. These dogs have a curly coat that feels like a soft, wooly sweater and gives you a nice cuddle buddy. Labradoodles shed a lot less than other dogs because of their curly hair which comes mostly from the poodle part in them. This cute puppy is getting to know his new surroundings! 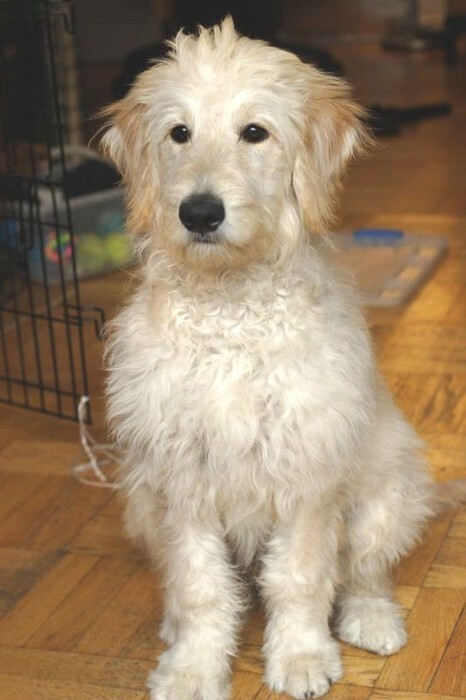 This Labradoodle looks very loyal and is certainly a good puppy dog. This Labradoodle is having a nice, happy day in the warm sun. Labradoodles live for about 13 - 15 years. Their non allergic coats make them popular among people with allergies. Labradoodles can contract diseases such as hip dysplasia, Addison’s disease, and eye disorders. A Labradoodle’s coat can be wiry, wooly, wavy, curly, or fleece - like. A Labradoodle’s coat should be shampooed and brushed regularly, and it is important that it’s eyes and ears should be checked often for diseases. "Dog Breedopedia." Dog Breed Info. Web. 11 Nov. 2014. 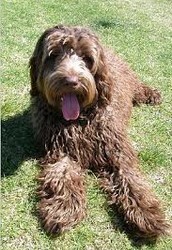 <http://www.petmd.com/dog/breeds/c_dg_labradoodlehttp://www.petmd.com/dog/breeds/c_dg_labradoodle>. "Labradoodle." Wikipedia. Wikimedia Foundation, 27 Oct. 2014. Web. 11 Nov. 2014. 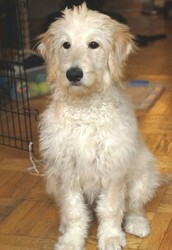 <http://en.wikipedia.org/wiki/Labradoodle>. "Labradoodle Breed Information." Labradoodle Breed Information. Web. 11 Nov. 2014. <http://labradoodle-dogs.net/labradoodle-information/>. "Labradoodle – Breed Information and Breeder Directory." Labradoodle. Web. 11 Nov. 2014. 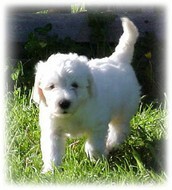 <http://labradoodle-dogs.net/labradoodle-information/http://labradoodle-dogs.net/labradoodle-information/>. "Portál:Pes/Vedeli Ste, že (2007)." - Wikipédia. Web. 11 Nov. 2014. <http://sk.wikipedia.org/wiki/Portál:Pes/Vedeli_ste,_že_(2007)>.